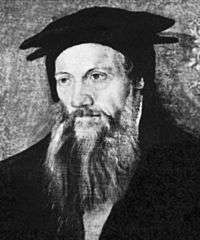 Conrad Gessner (also Konrad Gesner, Conrad Geßner, Conrad von Gesner, Conradus Gesnerus, Conrad Gesner; 26 March 1516 – 13 December 1565) was a Swiss naturalist and bibliographer. He was well known as a botanist, physician and classical linguist. 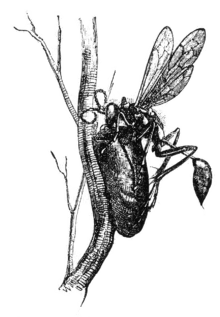 His five-volume Historia animalium (1551–1558) is considered the beginning of modern zoology, and the flowering plant genus Gesneria and its family Gesneriaceae are named after him. A genus of moths is also named Gesneria after him. 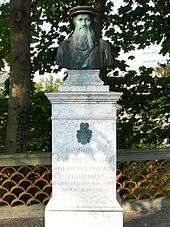 He is denoted by the author abbreviation Gesner when citing a botanical name. Gesner was born on March 26, 1516 in Zürich, Switzerland, he was the son of Ursus Gessner, a Zürich furrier. Gessner's father realized he was clever, and sent him to live with a great uncle, who grew and collected medicinal herbs for a living. Here the boy became familiar with many plants and their medicinal purposes which led to a lifelong interest in natural history. Gessner first attended the Carolinum in Zürich, then he entered the Fraumünster seminary. There he studied Latin classics. In school, he impressed his teachers so much that a few of them helped sponsor him so he could further his education at universities such as Strassburg and Bourges (1532–1533). One even acted as a foster father to him after the death of his father at the Battle of Kappel (1531). After the death of his father he left Zürich and traveled to Strasbourg. Here he broadened his knowledge of ancient languages by studying Hebrew at the Strasbourg Academy. In 1535, religious unrest drove him back to Zürich, where he made an imprudent marriage. His friends again came to his aid and enabled him to study at Basel (1536). After three years of teaching, Gessner was able to travel to the famous medical university of Montpellier, where he received his doctoral degree (1541) from Basel. 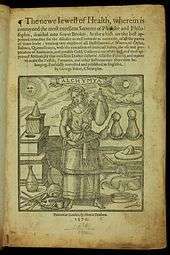 He then settled down to practice medicine in Zürich, where he obtained the post of lecturer of Aristotelean physics at the Carolinum, the precursor of the University of Zürich. Gesner's great zoological work, Historiae animalium, is a 4,500-page encyclopedia of animals that appeared in Zürich in 4 volumes between 1551 and 1558: quadrupeds, amphibians, birds, and fishes. A fifth folio on snakes was issued in 1587. A German translation of the first 4 volumes titled Thierbuch was published in Zürich in 1563. This book was considered to be the first modern zoological work. It built a bridge between ancient, medieval and modern science. Historiae animalium includes sketches for many well-known animals, and some fictional ones, including unicorns and mermaids. He accomplished many of his works in a large part due to the web of acquaintances he established with leading naturalists throughout Europe, who included John Caius, English court physician to the Tudors and second founder of Gonville and Caius College, Cambridge. Not only did they send him their ideas, but also sent him plants, animals and gems. He returned the favor — and kept helpful specimens coming — by naming plants after correspondents and friends. There was extreme religious tension at the time Historiae animalium came out. Under Pope Paul IV it was felt that the religious convictions of an author contaminated all his writings. Since Gessner was Protestant his works were included into the Roman Catholic Church's list of prohibited books. Even though religious tensions were high, Gesner maintained friendships on both sides of the Catholic-Protestant divide. In fact, Catholic booksellers in Venice protested the Inquisition's blanket ban on Gesner's books, and some of his work was eventually allowed after it had been "cleaned" of its doctrinal errors. Gessner in 1551 was the first to describe brown adipose tissue; and in 1565 the first to document the pencil. To his contemporaries, Gessner was known as "the Swiss Pliny." According to legend, when he knew his time was near, he asked to be taken to his library where he had spent so much of his life, to die among his favorite books. At the time of his death, Gesner had published 72 books, and written 18 more unpublished manuscripts. 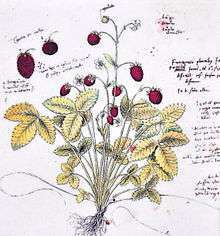 His work on plants was not published until centuries after his death. Markus Krajewski: Paper Machines. About cards & catalogs, 1548-1929. MIT Press, Cambridge 2011, ISBN 978-0-262-01589-9. Credits Gessner with inventing the library card catalog. ↑ Brummitt, R.K.; C.E. Powell (1992). Authors of Plant Names. Royal Botanic Gardens, Kew. ISBN 1-84246-085-4. 1 2 Pettitt, George A. "Conrad Gesner". Encyclopaedia Britannica. ↑ Cannon, Barbara; Nedergaard, Jan (2008-08-21). "Developmental biology: Neither fat nor flesh". Nature. 454 (7207): 947–8. Bibcode:2008Natur.454..947C. doi:10.1038/454947a. PMID 18719573. ↑ "Conrad Gessner 1516-2016". Retrieved 8 October 2016. Pyle, C. M. (2000). "Conrad Gessner on the Spelling of his Name". Archives of Natural History. 27: 175–186. doi:10.3366/anh.2000.0002. "Gessner, Conrad (Konrad)". SIKART dictionary and database.